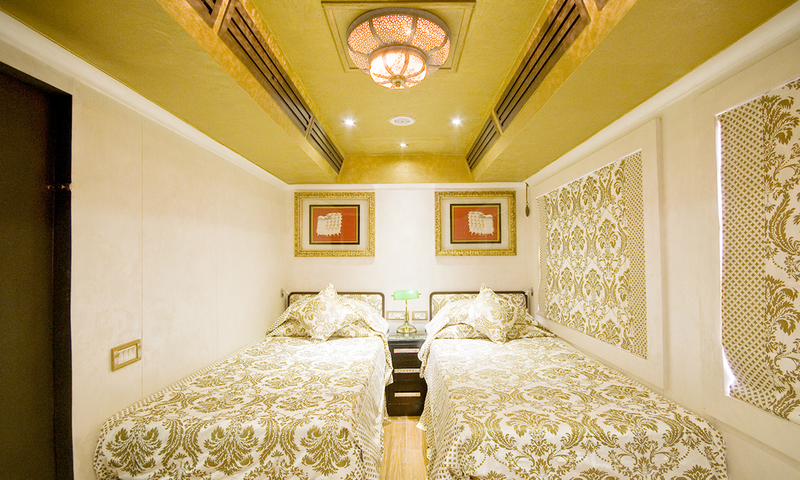 With a noble motive to promote tourism in Rajasthan, the Rajasthan Tourism Development Corporation along with Indian Railway launched the first Indian luxury train Palace on Wheels on 26th January' 1982.This royal Indian train has 14 guest coaches, all of which reflect a decorative style similar to that of the personal carriages used by the Maharajas of the yore. 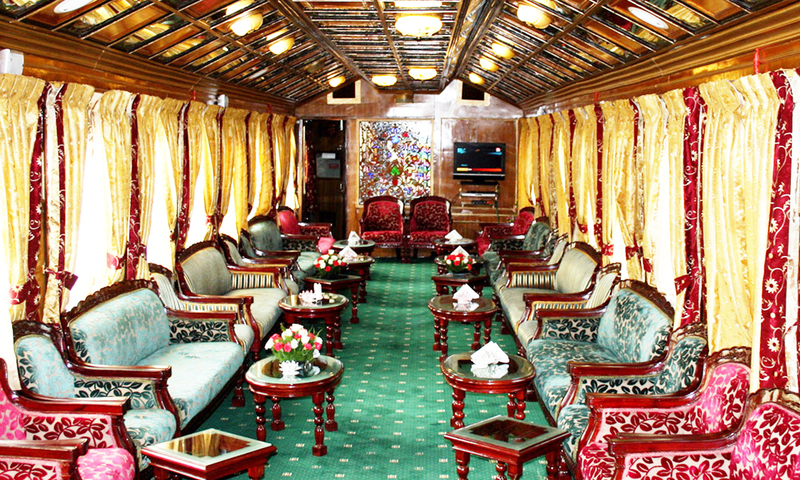 Over the years, the train has been refurbished many times to accommodate technological advancements so that a better tour experience can be ensured to the guests. 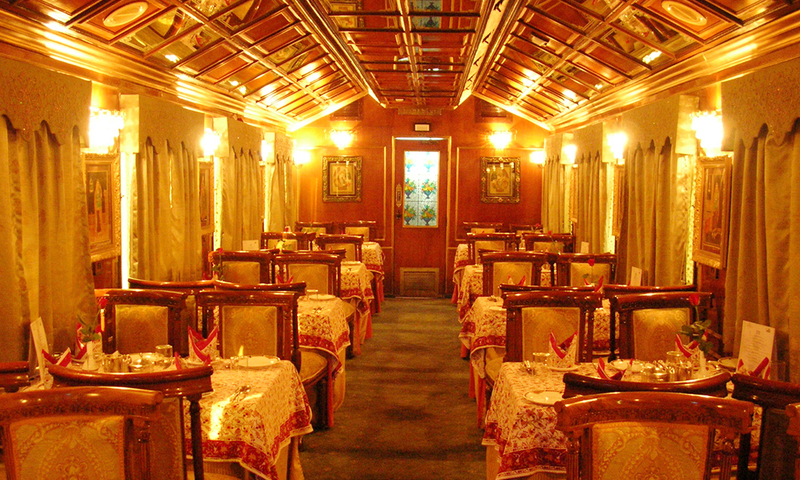 Moreover, the high-tech modern amenities have also been introduced along with modification in the itinerary and off-train excursion tours. Report by 4:30PM at Safdarjung Railway Station for traditional welcome & check-in formalities for Week in Wonderland Train Tour. 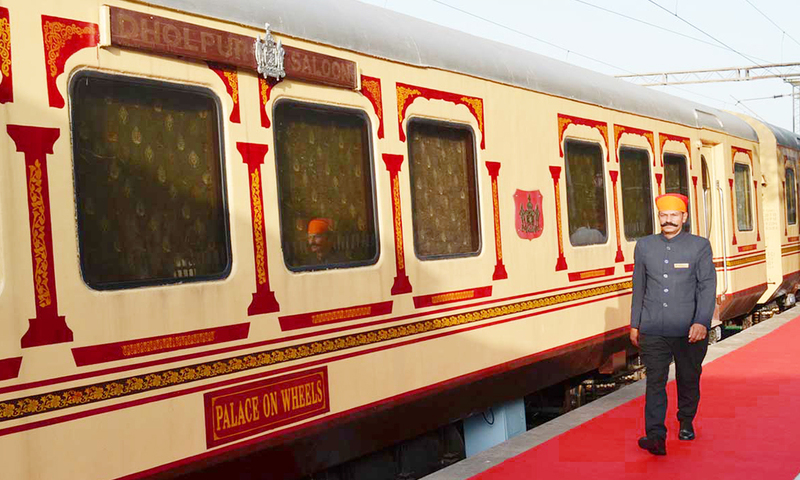 Time free for photo-shoot with traditionally attired Palace On Wheels staff. 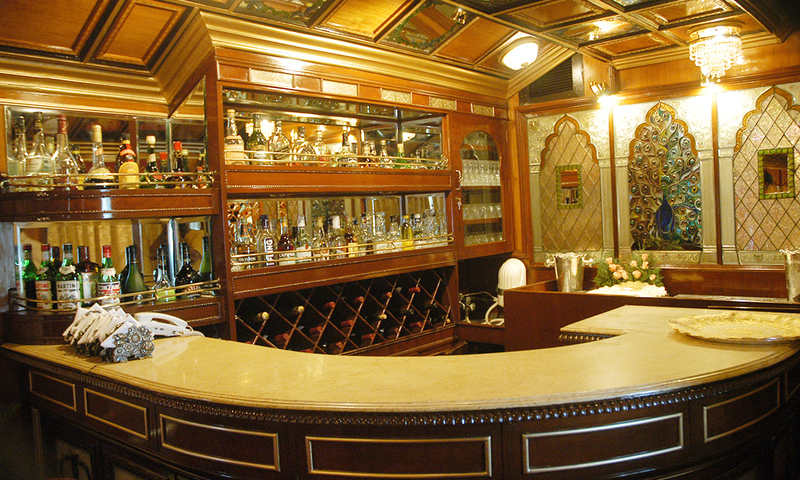 Be escorted to your saloon cabins by Personal Attendant for briefing on cabin facilities. At leisure Proceed to Bar Lounge for complimentary welcome drink. Train Departs at 6:30PM & Dinner served onboard. At Jaipur Railway Station Royal Welcome by Elephants & proceed to visit St. Albert Museum, Pink City Palace & UNESCO World Heritage Site of Jantar Mantar (sun Observatory) Photo stop at Hawa Mahal (Palace Of winds) Afternoon excursion to UNESCO World Heritage Site of Hill Fort Palace of Amber and enjoy ride up the steep ramparts of the fort on festively decorated Elephants. Enjoy lunch in 1135 AD Boutique Restaurant, located in Fort premises. Later discover the beauty of 16th century well preserved Fort Palace, with huge courtyard’s and built in rare fusion of combined Rajput and Mughal architecture. Later Time free for shopping & return to train by 6:00PM & depart. Onboard dinner. Tiger Reserve Early morning 630 am proceed from Sawai Madhopur Railway Stationfor jungle safari by 15 Seater Canters to Ranthambhore Tiger Reserve. The Jungle is home to Tigers, Panthers, Sloth bears, Pythons, Marsh crocodiles & hundreds of deer & numerous birds. Return back to train by 09:30AM & depart. Breakfast & lunch onboard. 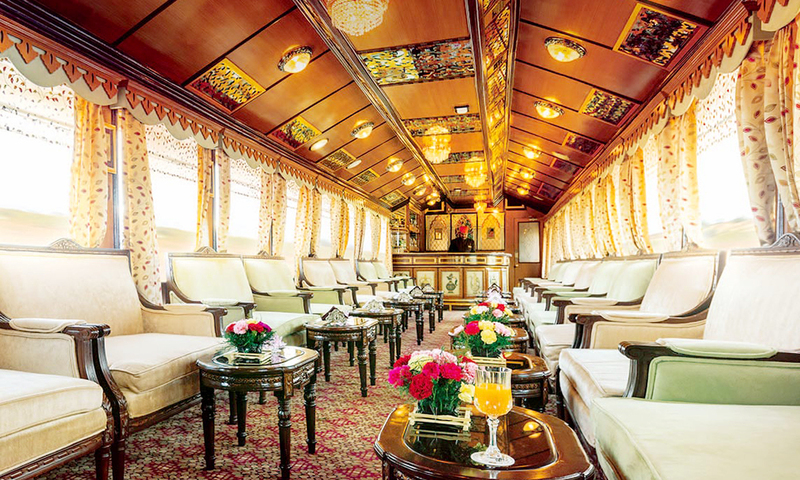 Train arrives by 08:00AM & after onboard breakfast proceed to visit 17th Century built - City Palace complex with eleven constituent Mahal (palaces), balconies, towers and cupolas. Also visit Crystal Gallery - housing personal collection of H.H. of Udaipur. 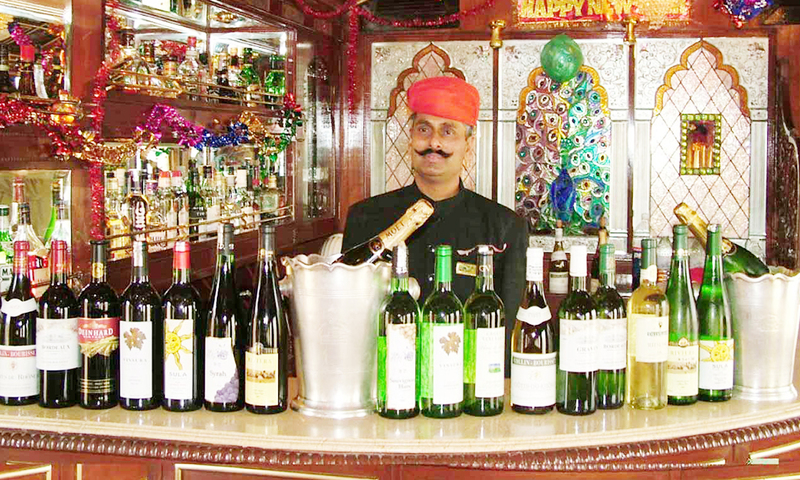 Later enjoy boat ride around the world famous "Lake Palace Hotel" atop a small island in Lake Pichola. Proceed for lunch to Fatehprakash Palace Hotel. Time free for shopping and visit the Royal Gardens at Saheliyon Ki Bari & return to train by 3 pm & depart. Dinner onboard. 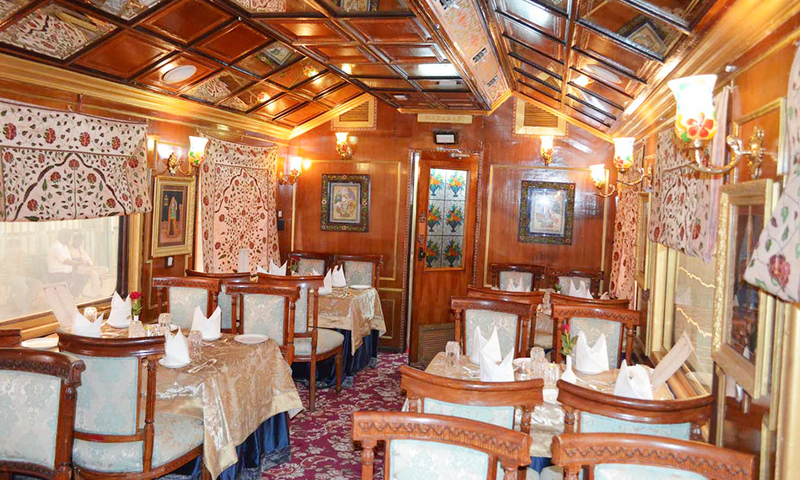 After onboard Breakfast proceed by 09:30AM to UNESCO World Heritage Site of Jaisalmer Fort. Straight out of an Arabian Nights fable. Enjoy a leisurely walk through the 15th century built living Fort complex, standing at a height of hundred meters over Jaisalmer town & glows golden in the afternoon sun. The fort is entered through a forbidding series of massive gates leading to a large courtyard. Visit Patwon ki Haveli, one of the largest and most elaborate mansion houses .-which is five storey high & extensively carved. Nearby is located a group of 15th century built Jain Temples, which are beautifully carved & have a library hosting some of the oldest manuscripts of India. Proceed for Lunch to 5-Star Hotel & later return to train for brief rest. At 4:30PM proceed for excursion to Sam sand Dunes in Thar Desert for Camel joy ride & sunset photo shoot opportunity Later enjoy Cultural Program & Dinner at 5-Star Hotel. Return to train by 10:00PM & depart. Train arrives at 08:00AM & after breakfast proceed for sightseeing of 16th century built Mehrangarh Fort, atop a rocky hill which soars 125 Mts. above Jodhpur town. The Palace complex it is approached by a series of gateways set at an angle so that enemy armies could not charge, with any success. 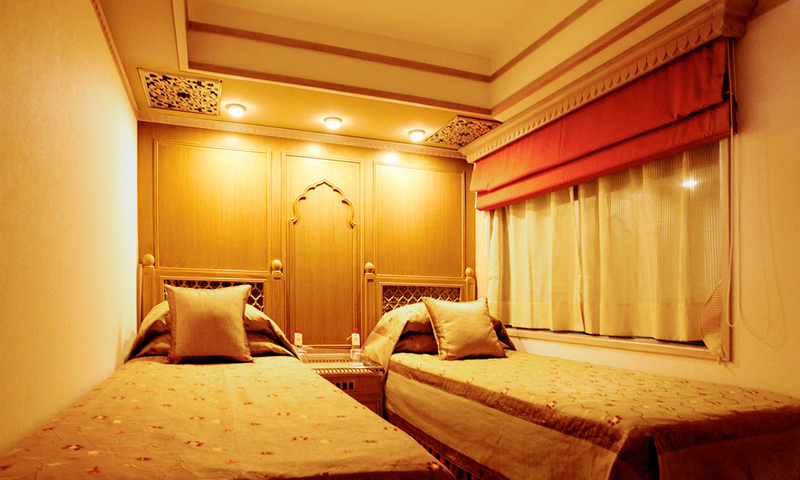 Once past the Fort gates, you have access to breath taking Palatial Apartments (Mahal), overlooking wide courtyards. Inside the fort complex is a museum having wide & impressive collection of Royal dresses & Medieval weapons. Nearby the Fort complex is located, late 19th century built Jaswant Thada, a cluster of royal cenotaphs in white marble. Later visit museum at Umaid Bhawan Palace, displaying personal artifacts of H.H. Maharaja of Jodhpur. Lunch at Hanwant Mahal Boutique Restaurant. Return to train & depart by 3:30PM. Bird Sanctuary At 06:30AM proceed to UNESCO world Heritage Site of Bharatpur Bird Sanctuary& enjoy cycle rickshaw ride to view many of 375 species of both local & migratory birds (from places like Sri-Lanka, Europe, Siberia, China and Tibet). Return to train for breakfast & depart by 08:45AM. Train drops you at Railway station On outskirts of Agra at 1030 am & proceed first to visit UNESCO World Heritage Site of Agra Fort, seat of power of the mighty Mughal Empire. After lunch at ITC Mughal Hotel- Highlight of your journey is visit the Taj Mahal, one of seven wonders of modern world & a flawless architectural wonder built in white marble. Time free for shopping. Later return to train for onboard dinner & depart. Train returns to Delhi Safdarjung Railway Station by 05:30AM.Check-out by 07:15AM after early breakfast.